Mum of Five Staying Sane: Term time family holidays versus holidays in the school breaks. The difference in costs. Term time family holidays versus holidays in the school breaks. The difference in costs. The fines for term time holidays have been in place for a while now but has that stopped people from requesting term time holidays? The Supreme Court in previous years gave it's verdict on the term time holiday case of Jon Platt. Mr Platt had previously won a High Court case after he refused to pay the fine for taking his daughter on holiday during the school term time. They ruled in favour of Isle of Wight council. I think that schools/councils need to look at every child's individual attendance records when looking at request for term time holidays before they make their decisions and I certainly don't think that term time holidays should be frowned upon if rules are followed. If your child consistently misses school (and I am not including illness or doctors/hospital appointments in this) then I do think that this issue needs to be addressed before more school is missed and this is where the system of fining parents needs to be put in place. If your child attends school regularly and has a high level of attendance I do not see the issue of a term time holiday. Taking into account that in my view ONE holiday per academic year at a maximum of 10 school days is more than sufficient. What is pulling more and more parents towards term time holidays is also the price hike on holidays by holiday companies during the school holidays. I can most definitely say that us as a family could certainly not afford a holiday during the school holidays compared to the price of a term time holiday. So what do we do? We either take a term time holiday and add the fines to the overall cost or we don't ever go on holiday until the children have finished their school years. We as a family haven't had a holiday in over 6 years and Thing 5 has never been on holiday. We've had a few days away in Cornwall but not a proper week/2 week break away as a family to relax and recharge. 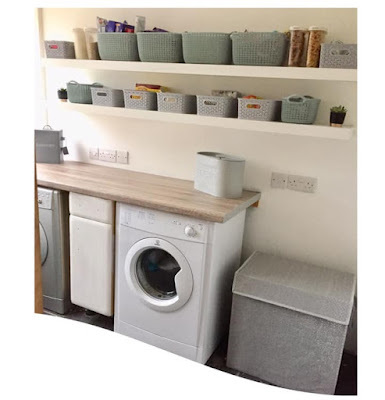 I was looking at holidays again recently and found some great prices but as Thing 2 starts Year 11 it is impossible to find something that will fit in with her final year of school. A wonderful example here from Center Parcs. A 5 day midweek break in October for our family. Week beginning October 9th is just £479 for 5 days whereas week beginning October 23rd is a whopping £1799. As you can see the difference between the Half Term week and the week of October 9th is £1320 and overall a half term holiday costs over 3 times the price of a term time break. 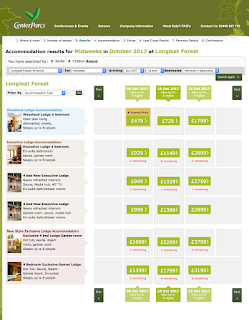 A 4 bedroom Woodland lodge stay was compared but from the chart you can see the prices across all accommodation available. 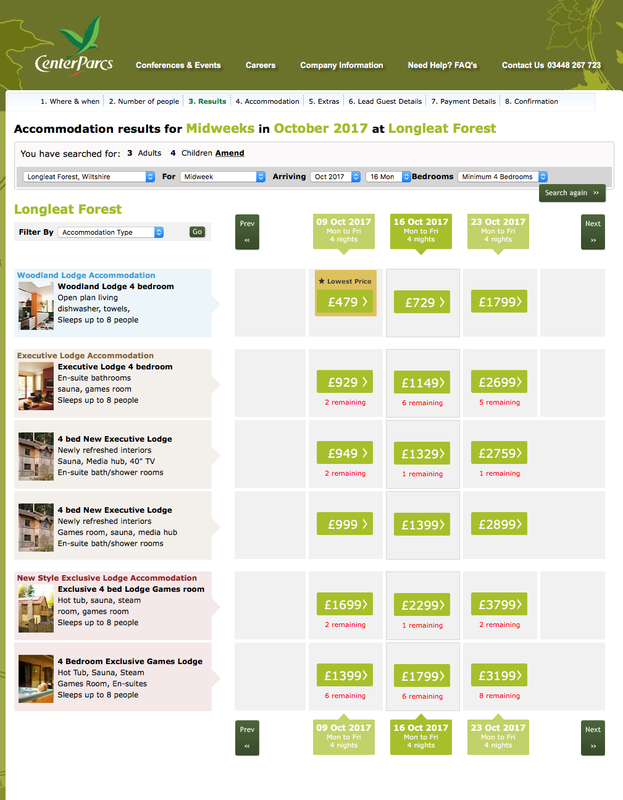 Again I looked at the week of Mon 9th October and Monday 23rd October (as above on the Center Parcs example) for a 5 day mid week break with Eurostar travel included and the same Disney hotel. The difference in cost for our family is just over £1100. Newport Bay hotel at Disneyland Paris plus Eurostar travel. The same midweek break dates with Haven, 9th October 2017 and 23rd October and I chose Weymouth Bay park in Dorset. I had to choose the Deluxe caravan option to get a price of £208 on the week of October 9th and £468 in the week beginning October 23rd. The difference in cost being £240, over double the term time cost. I looked at the Son Bou Gardens hotel for a 5 day self catering break. On October 9th it was £1360 for our family of 3 adults and 4 children. On October 23rd 2017 it was £1762 for the same hotel and same length of stay. A £402 difference between holidays. Son Bou Gardens hotel in Menorca, Spain. A 5 day self catering stay plus flights. As you can see prices do go up in the school holidays and this prices a lot of families out of the holiday market during these peak times. The only solution being a term time holiday where holidays are much more reasonably priced in some places. However, I do feel that there are so many issues that need to be addressed and it isn't just the hike in prices that affects when people take holidays. I strongly believe that attendance also plays a huge part in whether parents can take a term time holiday and attendance follows a school and national average that needs to be observed. I also think a one holiday per academic year rule needs to apply regardless of whether you take 10 days or 3 days. What are your thoughts on term time holidays? Do you think if attendance is excellent then one holiday per academic year is fair? What do you think to the hike in prices placed on holidays during the school breaks?